Berserk makes its return in 2017 with a double episode premiere, and for those that followed the 2016 anime adaptation of the popular manga, not much has really changed. The anime still looks pretty rough around the edges from an animation perspective (even if things have gotten a bit better) and the story is just as dark and gruesome as before. We’ve got another cour of Berserk, and with it, perhaps one of the weirdest parts of the Berserk manga to be translated into animated form. The more of Berserk I see in animated form, the more I think I realize that perhaps this franchise just isn’t suited for an anime adaptation, especially in this day and age. Berserk is a very grand story, with sweeping battles and big set pieces. Its an imaginative, dark fantasy world, and its a world that is really starting to crumble its anime series because of how much heft and weight the world really has. Berserk would’ve been a show that probably could’ve done really well in the late 80s or most of the 90s. Back then anime was all about this kind of dark, gritty and very graphic sort of show. Today, this kind of story is more of a niche offering, and one that I don’t think is a particularly big niche at that. To be quite honest, while this Berserk adaptation is “fine”, its just now doing justice to the source material. And I’ll confess, even the source material itself is kind of starting to lose its magic for me as well. I think when I originally read Berserk, there wasn’t much else like it. Game of thrones certainly hadn’t come into existence at that point, and my anime/manga consumption itself was fairly limited at the time. I think what Berserk should be, is just what its always been, a dark, adult manga that people read periodically. The fact that the manga itself has slowed down due to many hiatuses, doesn’t help matters. So with all that mentioned, how were these two episodes of Berserk? Honestly, they were fine. Guts meeting Griffith was fairly sudden and anti-climactic in some ways. 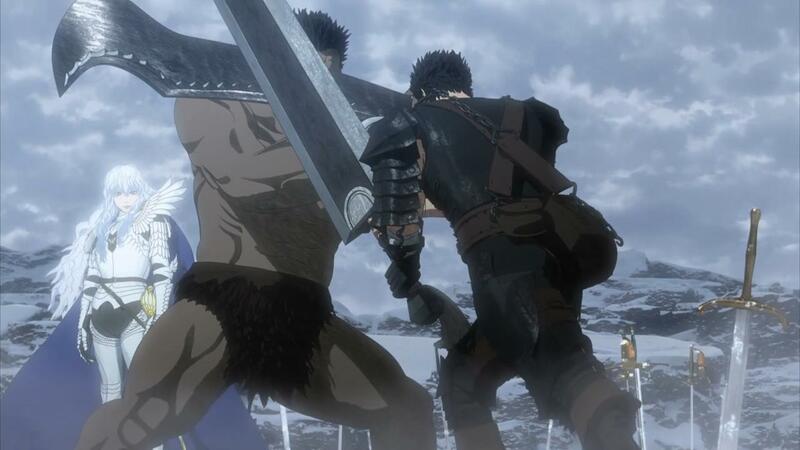 While it was cool seeing Guts take on Zodd again, the whole battle itself didn’t really impress in any sort of way. The battle was just there to serve the narrative of how Guts has gotten really strong. Which, we all kind of knew, and it really is only long time fans of the series, those who’ve at least seen the movies, that can really appreciate how far Guts has come. In the end, what really comes of this meeting is the fact that Rickert finally finds out the truth about Griffith, and Guts finds a way to really keep Casca safe. The big goal now, for Guts is to get Casca to the land of the elves, and that really is where his story is going to go. There’s also another story though, and its a story that’s going to play out in parallel to Guts’s quest. That story, is Griffith’s whole “claiming his nation” mission, and its where I think the oddity of Berserk comes from. 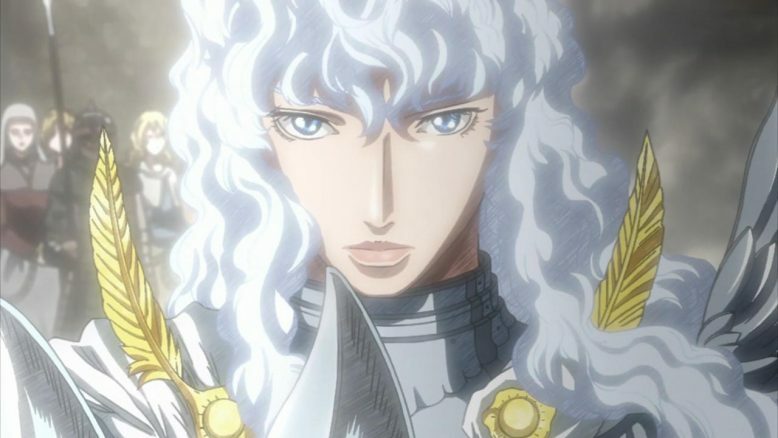 See, Griffith is supposed to be the series villain, but as you’ll see, Griffith’s story is not going to serve the narrative in any meaningful way. He will get to build his nation and empire though, or at least try to. Which, I think will be interesting. 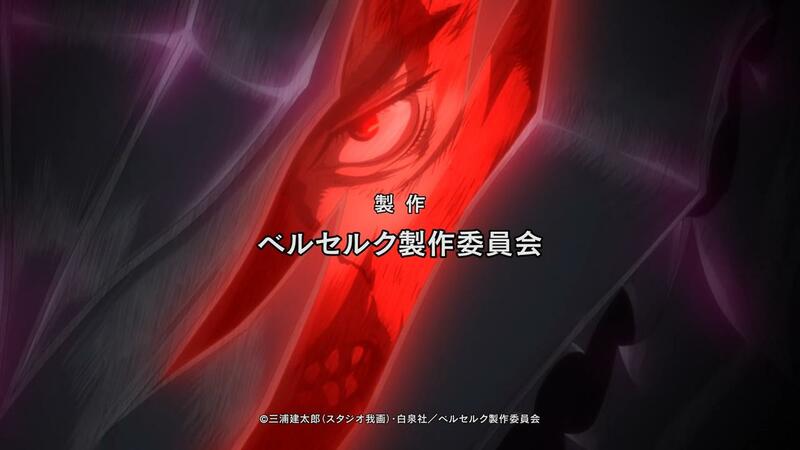 It’ll be interesting to see how this show, with its 12 or so episodes, balances both Griffith and Guts. Plus there’s all the supporting cast that are going to be with Guts. Episode 14 actually spends a good deal of time on Farnese and Serpico, and I don’t think that the particular development for either of them really adds much. 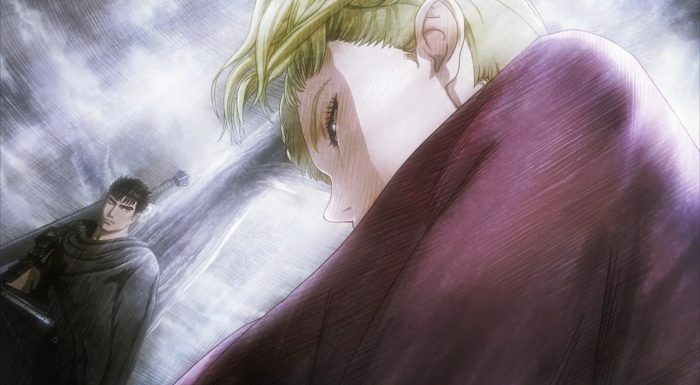 We know that Serpico and Farnese are really messed up people, and I think the only major shift here, is that Serpico is just as twisted as the woman he serves and has feelings for. 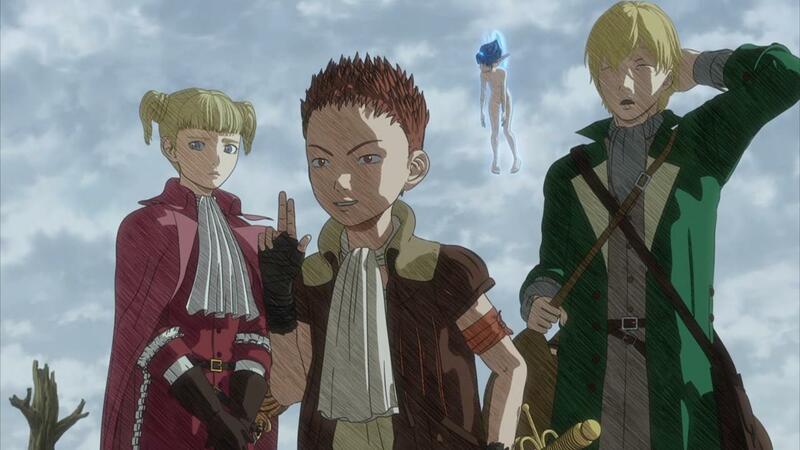 And of course, the episodes end with Farnese, Serpico and Ishidoro rejoining Guts, Puck and Casca. The band is all together, on both sides of the story, and I guess we’ll be keeping in touch with the show as it moves through the rest. I confess that I’m not as excited about this season as I was the last one. Maybe its the fact that I’m just getting old, but its starting to get harder and harder to give shows a pass for their problems. The last season was able to hold my attention despite its issues, and while the animation is slightly better, it’ll once again be on the story to keep things interesting. Lets see how this season of Berserk goes, and how well this franchise continues to fare in today’s modern anime landscape.